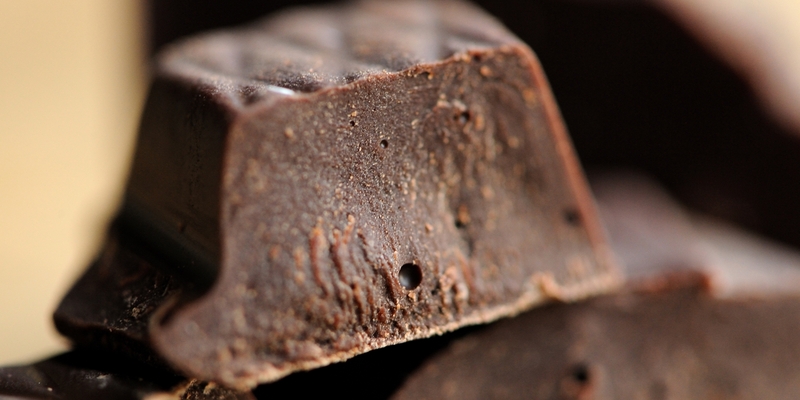 Chocolate: we all love it, even those of us who pretend to hate it. From chocolate fudge to savoury chocolate dishes, this collection contains some fantastic inspiration for cooking with chocolate. For many, the starter and main course merely act as a warm up for the most important part of the evening – pudding. Happily, this collection contains plenty of chocolate desserts suitable for satisfying even the most sweet-toothed of guests. Try Pierre Koffman’s Chocolate mousse recipe, playfully disguised as an after-dinner coffee, or Tom Aikens’ easy Chocolate fondant with an irresistibly gooey centre. There are plenty of wonderful baking ideas to be had, too. For a brownie recipe you’ll come back to again and again Nathan Outlaw’s Chocolate, fudge and Cornish sea salt brownies are difficult to top, while Madeleine Shaw’s Raw chocolate brownie recipe offers a clever gluten- and dairy-free alternative. If you are baking with special diets in mind, Victoria Glass’ Gluten-free chocolate fudge cake is a wonderfully easy cake recipe. Using rice flour instead of normal self-raising flour, this squidgy chocolate cake is a great bake for birthdays and special occasions.